We hear from hosts and guests that sharing clear expectations before a trip can contribute to a better experience for everyone. As a host, you can help travellers decide if your space is a good fit for their needs by providing detailed information about what your listing has to offer. 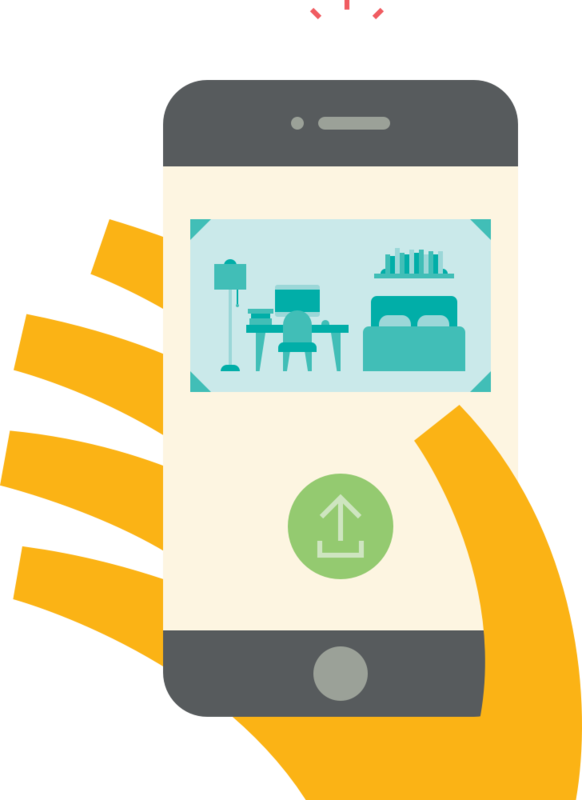 Your guests will have the opportunity to rate the accuracy of the information you provide. Creating a detailed profile and listing page will attract guests who match your hosting style and help you earn great ratings. Use a variety of high-quality photos with captions and write a detailed description and amenities of the space. If you need you can create custom amenities. Let guests know if there are parts of the listing that are off-limits, like a shared backyard or the attic. Be honest about unexpected factors that will impact your guests’ stay. If your neighbours just started a noisy construction project, your guests deserve to know. If you have to climb 8 flights of stairs to get to your listing, add that detail. If you don’t have reliable hot water, say so. This guide explains how to add essential information to your property listings. 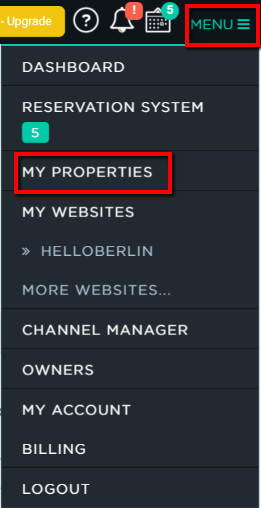 Select the property you want to edit, click onto "Edit" and go to "Overview". Enter a property name and headline. 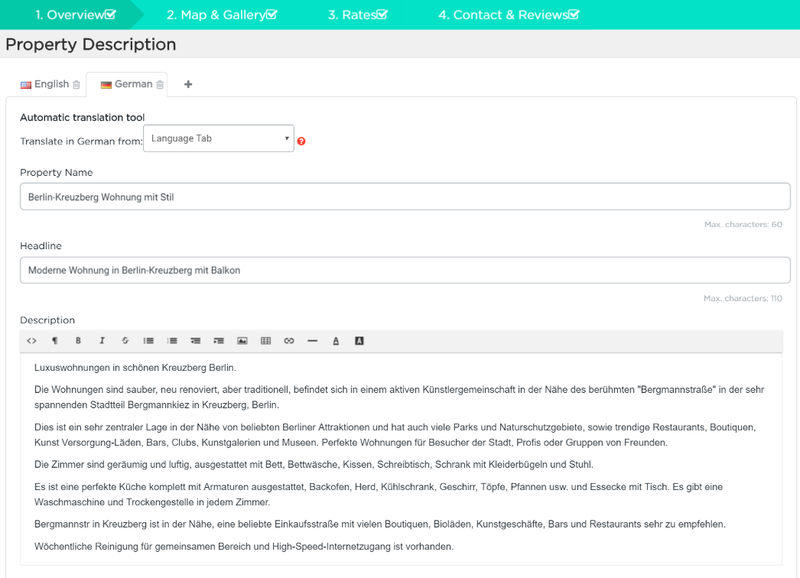 NOTE: You can Automatically Translate the Description of Your Property. Select a Property Type accordingly from the drop-down list. 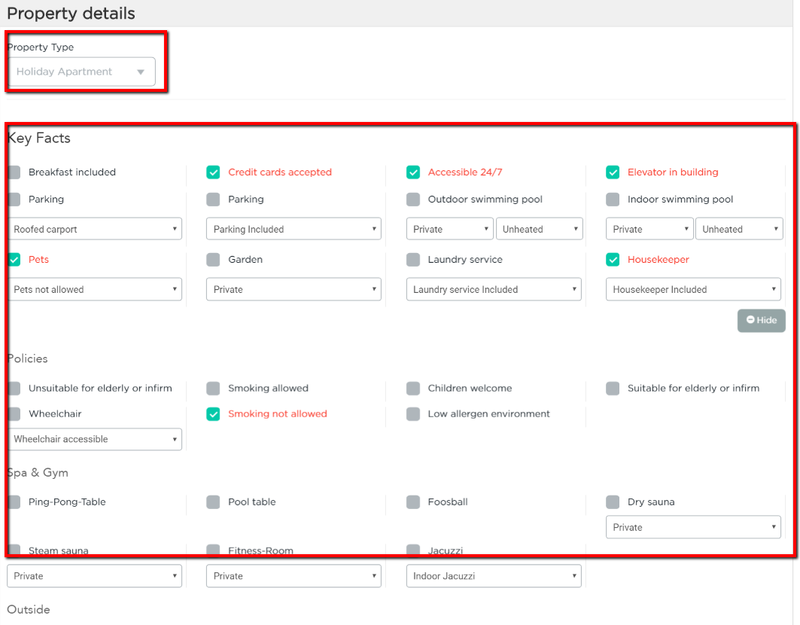 Tick the appropriate boxes in the "Property Details" section to select the "Key Facts" of your property. 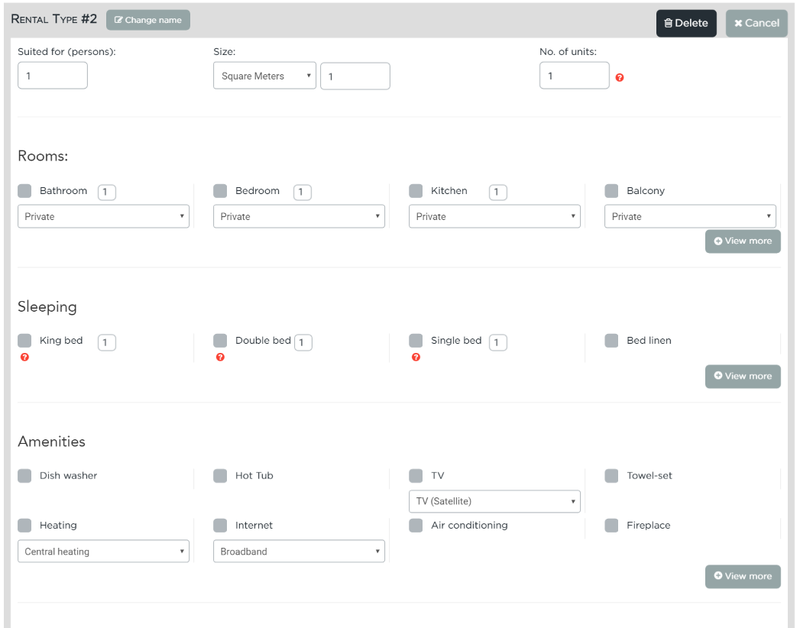 Tick the appropriate boxes and enter the details in the required fields of the "Rental types" section. NOTE: You can Increase the Number of Units for the Same Apartment or Room Type or Add Multiple Apartments or Room Types to the Property. NOTE: If you wish you can also Add Customized Amenities.